Today I’m going to tell you about a proven content marketing system to generate leads and warm them up for your coaching or consulting business. The first step is to learn to write fast. The best way to do this is to write structured blog posts and articles for magazines, either online or print. If you can’t get a guest post easily, then write in LinkedIn Pulse. (Always keep a copy on your own drive). Writing Tips. Always research your facts and note references, never plagiarise, and always check that your quotes are either in popular use from being such a legend or are able to be granted permission. There is a Copyright Clearance centre website for this. 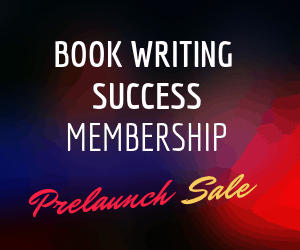 Next, writing coaching will help you to write your own book, containing your system. It may also contain case studies, your own personal struggle and inspiring anecdotes interweaved with insider business and mindset tips. With the help of a coach and a timeline, you could make a target of 35,000 to 50,000 words within three months. After self-editing, you’ll need a structural editor to spot the flaws in structure and flow. Combining writing coaching and structural editing is more powerful and less expensive for you, so I offer that for personal clients on a book writing mission. While you’re working on this book, you’ll also need to create a promotional launch plan. Without it, usually, your book will not have the depth of views and reviews that it needs. However, if you are using your book daily in your business system, then this will have less importance. A book can also be a learning guide for your clients or direct prospects. Such as “Birth in Awareness”, which is also a manual on prenatal information for yoga teachers. There is no point in hiding your light and just offering a free presentation to people one at a time, when you could be opening up your consulting to many relevant high-level executives at once. A USB drive or DVD containing the first 5-10 minutes of a talk you have done and some free resources you’re happy to give (secure them digitally from any edits first). Get everything manufactured to a high standard so that it makes it look professional. 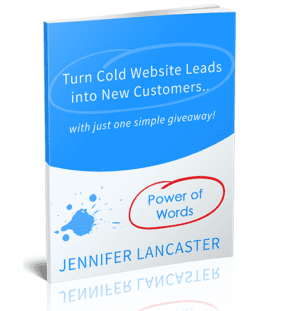 Power of Words can help you with managing the book printing process. The ideal is to have a partly automated marketing system. You want to build up an email list of your target ideal people (suspects) and have this working without you. This you can do with a ‘bait offer’ and a subscription form/conversion system on your website. (Moving in or pop up ones work best). A bait offer is a report, ebook, booklet, DVD, or audio you can easily deliver that interests clients in how much money they are going to make or save from your system. Importantly, you’ll want to use your marketing touch-points to grab the actual enquiries and put these into your CRM (database) – all while making that initial call. When the call fails to reach the decision-maker or is not going anywhere, do you give up? No! You’ll put them on an ‘invite list’ in an email marketing system for your monthly news and event or book offers. An email invitation with the subscription form link goes out to those selected, and if they accept, then they are correctly ‘double’ opted in. Any other way just sets you up for spam complaints. (You can even get a web script that talks to your database and inserts the new contact as a lead for follow-up). Every time you advertise, you’ll send the people to a benefit-driven sales page with a headline (or if you haven’t set one up yet, the corresponding service page). BUT, this page must also capture people who are not ready right now or “just wondering and not yet trusting”, and you can do this with an Opt-in Conversion System that collects 3 to 10% of visitors’ email addresses. (There are systems at AU$125 a year on up). These are people who would have wandered away, still wondering, but studies show that they are likely to purchase from someone else down the track 18 months or so. Well, you wanted a Lead Generation System that works for business coaches, consultants, trainers, sales coaches, and marketing gurus… and here is one. Now, I challenge you to actually set up and use this system to triple the number of warm leads coming into your business. Here are examples of those who have used a similar system to capture new clients and build trust. Each one I have helped in some way. Every one of these people is benefiting from a system to up-sell some of their readers into new clients. 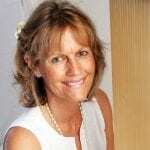 Jennifer has a very honest and friendly manner which makes working with her flow very easily. Her editing skills are clear and very helpful. Thank you Jennifer for your part in my journey towards publishing.